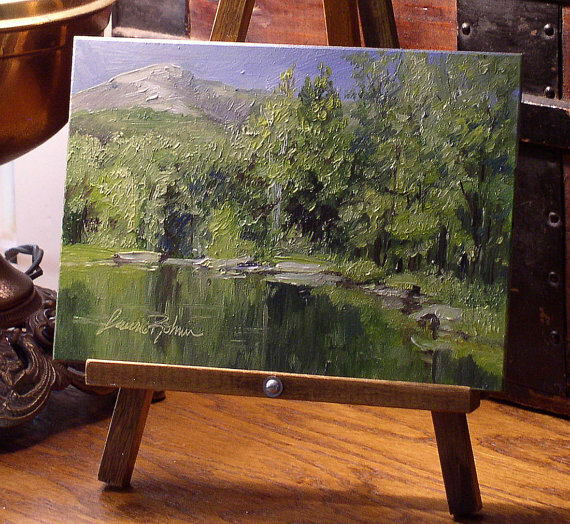 Nature Art Vermont Woodland Scenic Landscape Oil Painting Original Art by Laurie Rohner. 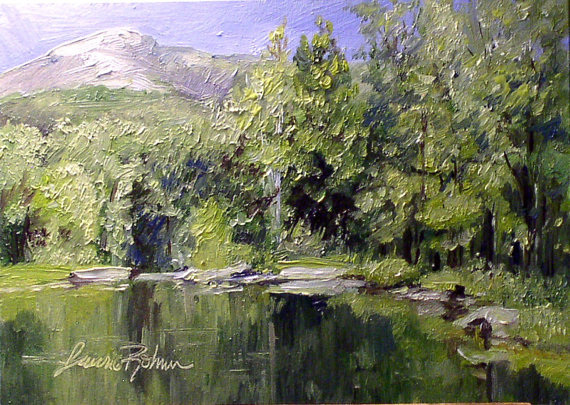 Vermont original oil painting by Laurie Rohner is titled Reflections. 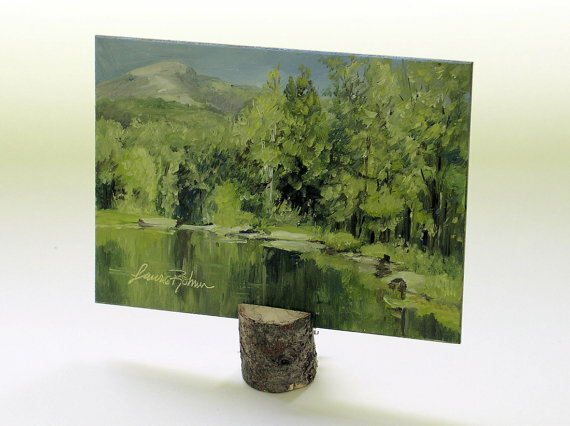 Vermont is a woodland nature inspiring scenic landscape and my nature art is painted on a 5” x 7” panel. It is of a small pond in Underhill,VT which I discovered one sunny day. The way the trees reflected in the water and then to see the mountain loom up in the distance. Nature in all of its perfection seemed to come together for me to shoot my photo so I could paint it later.